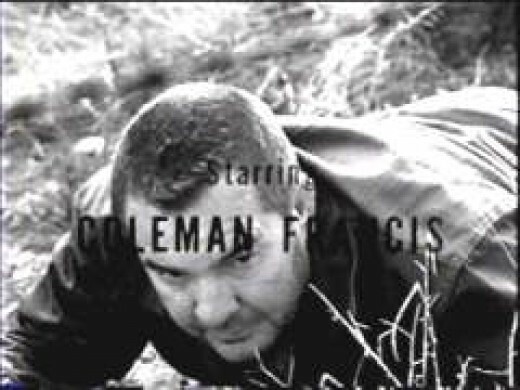 Coleman Francis must have had a dark outlook on life. Looking at his history in Hollywood, one can’t help but notice that the vast majority of his acting jobs went uncredited. There was no long distinguished career in the film industry; no awards to celebrate. In his own films, viewers are treated to depressing act after depressing act. Violence, adultery, war, murder and man’s inhumanity to man are just some of the acts which were standards in his films. By any standards, these aren’t exactly conducive for a fun time at the movies. And yet, I’m entertained by all his films, for different reasons. 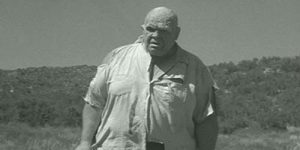 His first film, Beast of Yucca Flats (1961) is about a Russian Scientist who gets caught in a nuclear explosion and changed into a rampaging beast. For comic book fans out there, this may sound a little familiar. Bruce Banner first changed into the Hulk in 1962, after Beast came out. I’m not saying there’s a correlation, but it’s interesting to note that one has become a cultural icon, while the other is the Beast of Yucca Flats. Why did Francis’ vision fail to catch people’s attention the way the Hulk would a year or so later? One of the main reasons would be because his movie makes little or no sense. 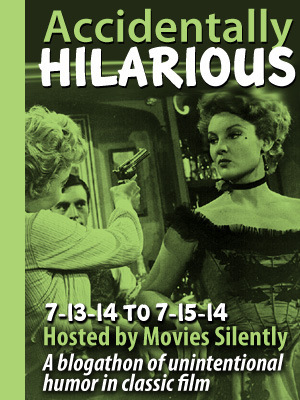 It’s not so much a film as a series of scenes punctuated by oddball narration. But we get to see a murder, vigilante cops, missing kids, a man abandoning his wife, a shootout between spies, and the Beast wobbling around yelling incoherently. Add in the fact that the scientist/Beast is played by Ed Wood stalwart Tor Johnson, and the result is a mess. So what is it about it that’s so entertaining to me? I think my appreciation for The Beast of Yucca Flats is precisely because it’s so disjointed. In some movies, you need resolution, answers to certain questions. Resolution isn’t a priority for Beast. You don’t have to think about the film; you just have to marvel at the ridiculousness of it all. Francis’ narrative stream of consciousness is pointless: everything he says is of interest only to Coleman Francis. When you don’t have to think about the film, it makes everything better. Laugh at the way the abandoned wife tells her kids not to play with them dirty “cayutes.” Smile at Francis’ “homage” to the dustcrop plane scene from North By Northwest with an actor who is definitely no Cary Grant. Chuckle at the way Tor Johnson can’t even play a rampaging monster convincingly. There is no other way to watch Beast of Yucca Flats. 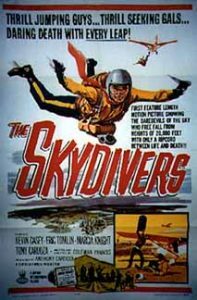 Francis’ 2nd film, The Skydivers (1963), is by far my favourite of Francis’ 3 films. It’s the only one of his films that doesn’t seem to have any sort of message behind it. It’s the (relatively) straightforward story of Harry and Beth, owners of a skydiving business out in the desert. Harry is having an affair with Suzy, who’s also seeing Harry’s ex-mechanic, Frankie. Harry’s ex-paratrooper buddy Joe shows up and takes over the mechanic position. Harry eventually throws over Suzy for Beth, and Suzy gets her revenge by sabotaging Harry’s parachute. As a story, this is almost watchable. Done the right way, this could have made an admirable B-movie noir. That alone makes it fun for me. What makes it even more fun, though, is seeing how Coleman Francis managed to completely destroy any sort of noir-ish atmosphere the movie might have had. The acting, as one might expect, is laughable. Harry is played by Francis’s friend (and producer) Tony Cardoza. He had a bit part in Beast, but is given the lead in Skydivers, and does nothing to with it. It’s really not fair to criticize just Tony, though: none of the leads show the slightest bit of interest in acting. The only people in the film who show any emotions at all are the odd people whom Francis hired as extras for the film. They are a truly entertaining bunch to watch, and it’s fascinating to wonder if they were playing characters Francis assigned them, or if they were like that in real life. They really shine near the end of the film, when there’s a night jump party scene. Another reason to love the movie is the music. Odd music choices pop up throughout the film, but the best music is reserved for the abovementioned night jump party. Jimmy Bryant was a prominent guitarist back then, and the music he supplies for the film is great (if a bit politically incorrect). It’s a highlight of the film. 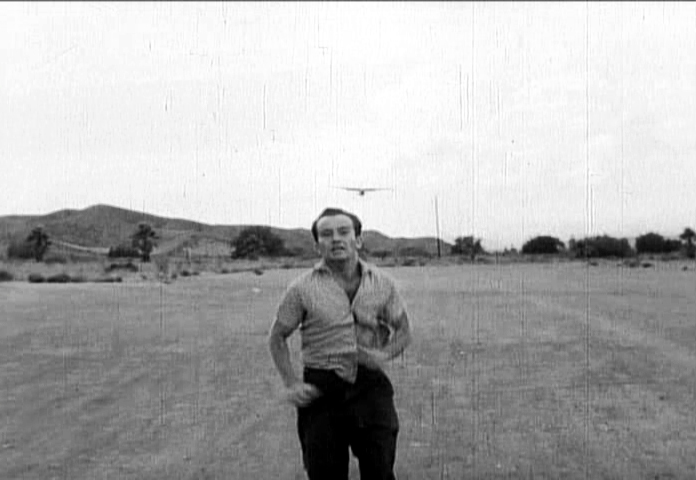 The remainder of the film, though, is still fun to watch. There’s no message to it; it’s just straight up incompetent, entertaining, filmmaking. 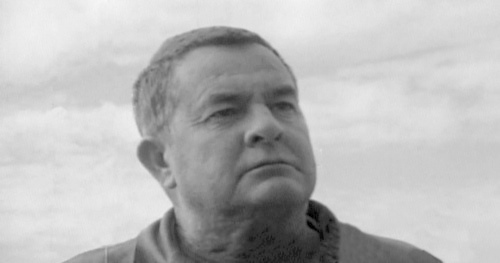 The last film of Francis’ trilogy was Night Train to Mundo Fine aka Red Zone Cuba (1966). It tells the story of Griffin (played by Francis himself), an escaped prisoner who joins up with two drifters. While the movie follows their adventures to Cuba and back to New Mexico, it’s also a statement film for Francis, much like Beast was. Also like Beast, the statement probably only makes sense for Coleman Francis. The acting, as is standard for Francis’ films, is hilariously bad. Coleman Francis is a one-note performer, and his two partners are stupidly funny. His re-enactment of the Bay of Pigs invasion is ridiculously amusing (can someone create an invasion force out of 7 actors? The answer is no.) Yet the movie is still watchable to me. 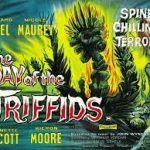 Listening to John Carradine sing the theme song is, not to put too fine a point on it, an experience. It’s the most upbeat moment of the entire film. Given that this was his last directing/writing effort, perhaps it’s not so surprising that the rest of the film is downbeat. That doesn’t make it unwatchable, though. I still like watching it from time to time. His films were certainly bad, but if you don’t have any expectations, they can be fun to watch.